RBNZ held the official cash rate at 1.75%, matching widespread expectations. RBNZ reiterated its pledge to keep the rate at the current level through 2019 and 2020. “The direction of our next OCR move could be up or down“, they repeated. The statement for keeping rates low, for longer than what has been stated so far, along with the statement that OCR could move either way, came in contrast with the highly dovish stance that markets anticipated. This explains Kiwi’s spike, with NZDUSD jumping to 0.6851 from 0.6730 ahead of the announcement and during the conference session. RBNZ seems to be following a similar policy path to the RBA. Last week, RBA announced steady rates at 1.50%, whilst its statement was consistent with no change in the current rate setting through 2019. Overall, the RBA maintained its view that inflation will eventually pick up, although it will take a bit longer than anticipated. Given the Fed’s dovish shift, the risk was for the RBA to take a decidedly dovish turn, which Lowe and company did not. Despite the similarity between RBNZ and RBA, New Zealand continues to present an overall fair to middling economy with prospects of any kind of policy changes, as the labour market strengthens and inflation is nearly at the mid of the 1-3% target. This comes in contrast to the Australian economy, which looks erratic given sharp property price declines, despite the “strong” labour market. Furthermore, Aussie’s future performance depends greatly on how the Chinese economy evolves, given the strong symbiotic link the Australian economy has with China’s. Markets remain in a cautious state due to the current US-China trade talks, which presents binary risk for the Aussie given China’s outsized demand for Australian exports. AUD has been trending lower over most of the last year, having declined about 12-13% over this period, largely as a consequence of the eruption of the US-China trade war. On the other hand, Kiwi’s future performance is not highly linked to China since the NZ economy is not as exposed to a Chinese slowdown as Australia. Consequently, despite the common policy stance between New Zealand and Australia, all the above arguments suggest that NZD is likely to remain stable in comparison to AUD, something that could give AUDNZD a downleg until it gradually breaches a possible parity. 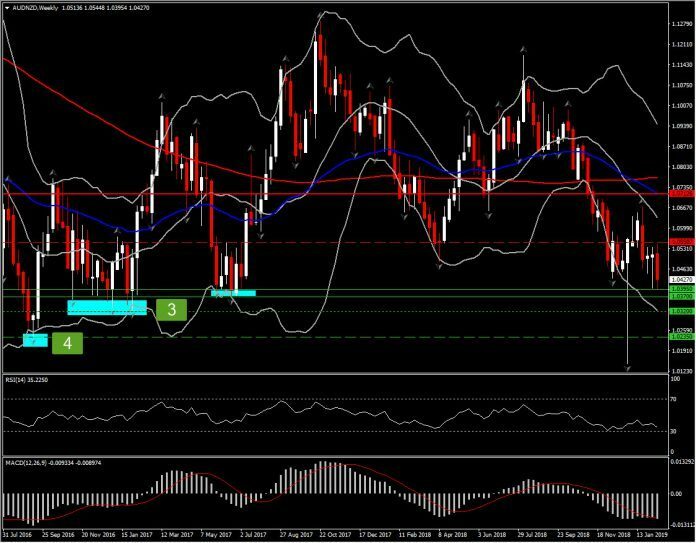 Levels to be watched, starting from immediate to long term Support levels are: 1.0395, 1.0370, 1.0320, 1.0235. 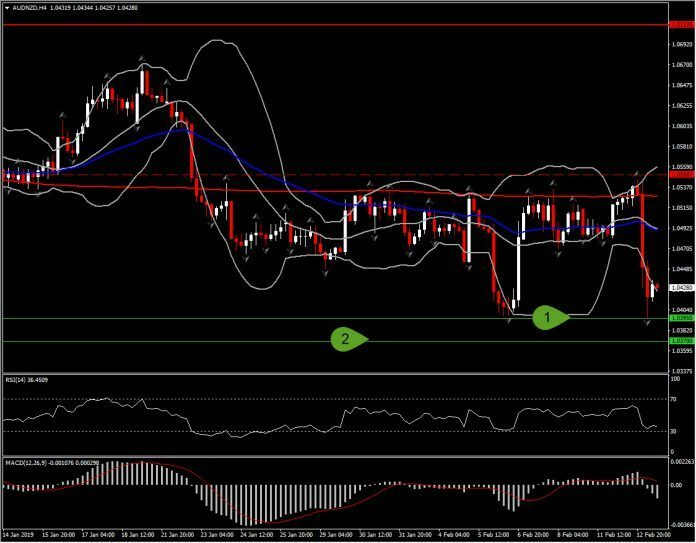 Resistances come at 1.055, 1.0667 and 1.0712.